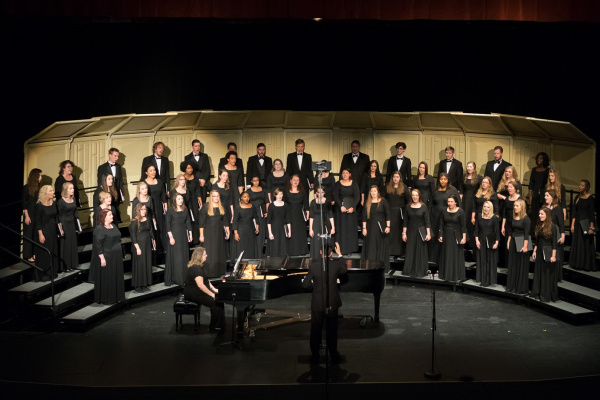 Baker University Concert Choir join us from the state of Kansas to sing a varied repertoire of pieces as part of our free lunchtime concerts and recitals. Dr Ryan Olsen is the Director of choral activities at Baker University and has been conducting choirs for over 20 years. Recent masterworks collaborations include the Midwest premier of Mark Hayes’ Requiem, performed in Rice Auditorium in 2014, and Vaughan Williams’ Dona nobis pacem performed at the Kauffman Center for the Performing Arts in 2015. In spring 2017, the choir joined in a performance of Mozart’s Vesperae solennes de confessore, K. 339 at Grace Cathedral in Topeka. We look forward to welcoming them to Bristol. This short lunchtime concert is free with a retiring collection.